Already six days ago was the opening of Cavalli Caffe in downtown Beirut. Many Lebanese celebs were seen hanging out together; among them were Haifa Wehbe and Nancy Ajram. 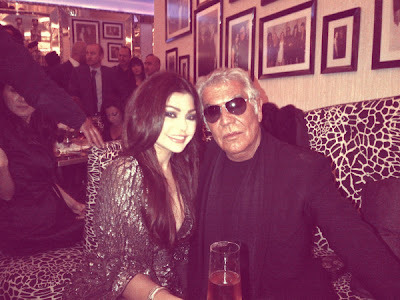 Haifa, a singer first and foremost, tweeted a picture of her and Roberto Cavalli and referred to him as a “dear friend”—well, I doubt it but never mind. A few days ago, when I was on my way back home, I spotted the place overcrowded with some 50-year-old women with dyed blond hair. There were barely any men—to not say any at all. Then I was surprised by a young man reaching out to a table, but he turned out to be the waiter. The waiters were better dressed than in any other restaurants. I wouldn’t catch as much of a scene if the lights weren’t red. 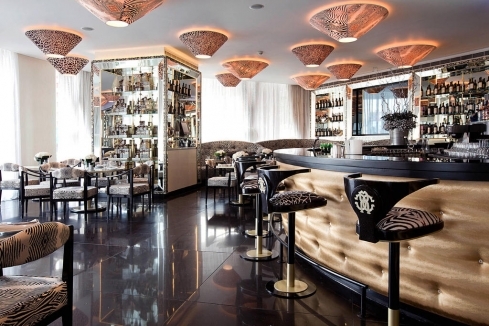 To sum up, Cavalli Caffe is an Italian restaurant and according to Beirut.com, The average price is $50 and above. And full of middle-aged “rich” women. I think I’d wait a couple of decades before I go there.